I spent last weekend in Washington, D.C. It wasn’t my first time visiting, but I’ll admit it was my first time exploring and seeing all of the monuments. I’m not one to knock the value of comfort, but I do believe there is a way to be comfortable without wearing running sneakers and a fanny pack. Bring a bag that leaves you hands free. While I do have qualms with the fanny pack I cannot deny that it does serve a good purpose. No one likes to have to carry things for hours on end. Instead of a fanny pack try a cute cross-body or stylish backpack. Leave the satchel at home. Your arms will thank you. Wear shoes that you know you can walk a few hours in. When you are sightseeing, there’s a good chance you will be on your feet consistently for two hours plus. When picking shoes, pick shoes that you know you can wear for at least 3 hours straight without your feet hurting. Try a cute pair of sandals, funky sneakers, and when it cools down riding boots or flat booties. Avoid anything tight while site seeing. Pick things that are loose and free flowing. My picks would be a maxi, a sundress, comfy denim shorts, and in the fall boyfriend jeans. What do YOU wear to sightsee? 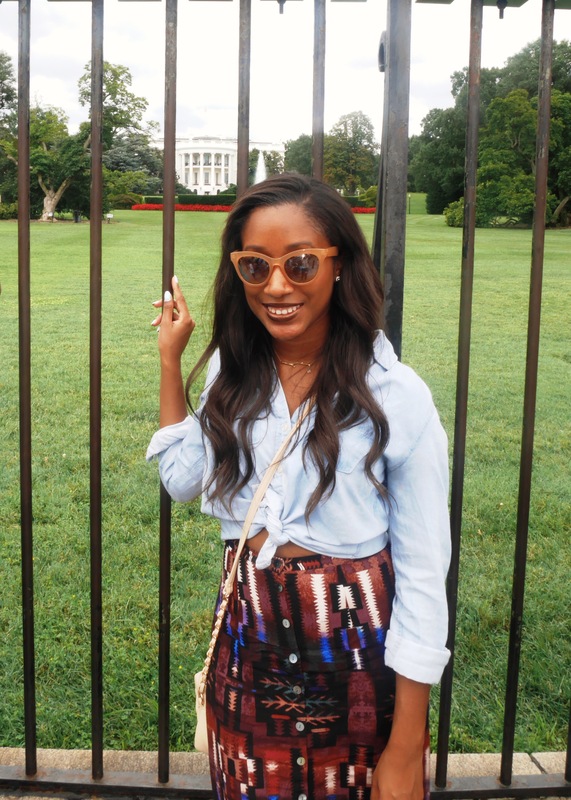 Tagged with: fashion Sightseeing Style Tips Travel Washington D.C.